The fastest track to personal growth is working with children. Our classes make it easier and much more fun. What are people saying about our training? Click here to read some of the testimonials we've received from Language of Listening® participants. 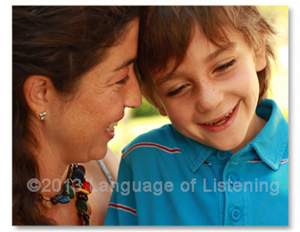 Language of Listening® experts provide insights and simple tools you can use right away to change challenging moments with children into rewarding ones. Bring a problem and leave with an eye-opening solution! Introductions are mini-versions of Basics Part I. To schedule an Eye-opener for your group Contact Us. A 20-min version of our Eye-opener is now included in our Online Training Center as the Key Concepts Class! Presented in convenient ~5-min clips, you can watch it anytime, anywhere to anchor these revolutionary concepts firmly in your mind. Instantly replay any part as many times as you want. Perfect for at home or mobile lifestyles. PLUS you get access to the original SAY WHAT YOU SEE® Workshop and more! Click here to see some of the enthusiastic comments we've received from previous Language of Listening® participants. 20-min Key Concepts Class presented in ~5-min video clips. Take it anytime, anywhere on your computer or mobile device! Your child is focused on waving a bubble wand with one hand and pours bubble stuff on you with the other. Not paying attention or paying attention? It's time to go, and your child is hiding. Hiding from you or wanting to be found? It all depends on how you see it; and so does your reaction. 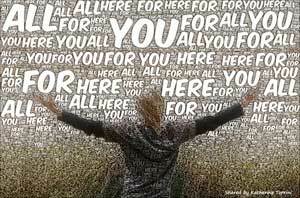 Basics Part I demonstrates how to SAY WHAT YOU SEE® -- the missing step that allows you to instantly connect with children to transform complaints and resistance into STRENGTHs they can use the rest of their lives. Add CAN DO boundaries to complete this simple new reward-free, punishment-free approach to parenting. The original 90-min SAY WHAT YOU SEE® Workshop is now featured in our Online Training Center. Presented in convenient ~5-min clips, you can watch it anytime, anywhere as a complete Basics I class or as individual clips to refresh specific skills. Instantly replay any part as many times as you want. Perfect for at home or mobile lifestyles. PLUS you get access to a 20-min version of our Eye-opening Workshop as the Key Concepts Class and more! 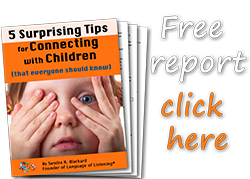 Sandy Blackard, award-winning author and founder of Language of Listening®, will work with your group in person to help you turn your most challenging moments with your child into rewarding ones. Contact Us to schedule a facilitated training for your group. Click here to see some of the enthusiastic comments we've received from previous participants. Take it anytime, anywhere on your computer or mobile device! because success is the best way to learn! This class combines online instruction with hands-on experience in playtime "homework" designed especially for your success! Master the coaching skills of listening, guidance and confidence-building in Power Playtimes with your child at home, and watch them show up naturally in your daily interactions. 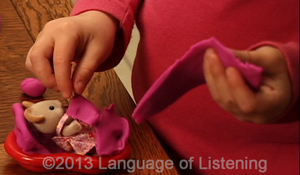 No class makes it easier to master Language of Listening® coaching skills and enjoying your child more. 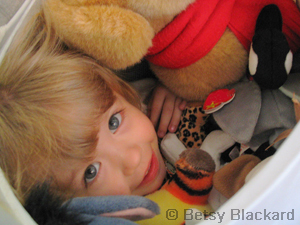 You don't have to choose between good behavior and a good relationship with your child. With coaching skills, you can have both! As this 9-week class progresses, participants report that resistance, tantrums, back-talk, clinging, sibling rivalry, night-time fears, and a number of other troublesome childhood behaviors "magically" begin to disappear. Love, respect, trust and confidence grow and grow as your child leads the play in your home playtimes (30 min, once a week during the last four weeks of class). You just SAY WHAT YOU SEE® and get ready for success! Hands-on experience via your home playtime "homework"
*For Hands-on Parents, the review and coaching call together are valued at $300. For everyone who attends, the life-time skills you gain make this class a wise investment! Click here to see some of the heart-warming comments we've received from previous participants and their children. Coming soon to the Online Training Center! Your computer or mobile device! To be added to the INTEREST LIST for this class please Contact Us and include your time zone. Mastery - Part II (Play Patterns): 6-Week Follow-up Online Class What are the patterns in your child's play telling you? In Part II as you continue your Power Playtimes at home and videotape reviews in facilitated online classes, you will gain a deeper understanding of how your child sees his or her world and learn to spot new patterns on your own. Deeper understanding means deeper connections and accelerates your child's and your own personal growth. The Observer category is perfect for spouses and teachers who have taken Part I. "What do you say when your child...?" Coaching skills like following the child's lead and finding hidden strengths take you straight to the solution that is right for each moment. You will be amazed at how natural these skills feel and how quickly they reveal your own inner wisdom. These informal coaching solutions groups are open to the public. This group meets weekly on Sunday mornings. Sandy Blackard presents a new topic on first Sundays, and parents and facilitators discuss the topic and your questions on following Sundays. Join us regularly and before long, you will be sharing Language of Listening® coaching solutions that have worked for you. Click here to see some of the great comments we've received about our coaching approach. One simple tool. Astonishing breakthroughs. Lasting results. Bold statement, right? It's true. We can show you how everything you do, or have ever done, works...somehow. And when you see it, you will be free. Finding what works and answering the question, "Why would a great person like you (or your child) do what you do?" is the missing step in problem-solving, parenting and personal growth. Starting with "what works" is the key to realigning your actions with your true compass—what you like and what you want—and making your dreams come true. Not sure what you like or want? We'll start there! We're experts at listening for what you like and want, as well as helping you see how it actually could be possible. Finding what works is our specialty. Let us bring this new perspective to your parenting and life situations to bring clarity to your path and help you produce the results you actually want. When your foundation is solid, and your path is clear, it's easy to take the next step with confidence. Choose from our coaching options below or Contact Us to design a custom coaching series for yourself. You will be amazed at the difference even 1 hour can make. Send us a video clip of a parenting or relationship challenge in action, and get a video with specific suggestions and positive insights back. Include yourself (on-screen or off) responding to the situation for best results. Clients rave about their unexpected results! Click here to see some of the moving comments we've received about our coaching. We will contact you to schedule your coaching program upon receipt of your registration. *In Person option may be possible for Austin Area clients. We will contact you to schedule your coaching series upon receipt of your registration. We will contact you to schedule your coaching session upon receipt of your registration. Send us your home video clip (up to 15 min in length) and receive a video with specific coaching back. Upon registration, we will email you instructions for sending us your home video clip. Options for sending or sharing videos include Dropbox, Hightail, YouTube, Vimeo, etc. It all starts with YOU! It's your turn for validation by YOU! You're right about what you like and want—you always have been! Find out why it's so hard to hang on to that simple truth, and discover how to SAY WHAT YOU SEE® to yourself and stand firm on your own personal boundaries. Experience gleeful insight with every shift in thinking that moves you closer to your goals! Watch for Live Facilitated Online Class—Self-Coaching II: With the help of a Language of Listening® Coach, learn to use transformational logic to generate breakthroughs in setting personal boundaries with ease and creating the life you've always wanted! Click here to see some of the wonderful comments we've received from previous participants. Coming in 2020 to the Online Training Center! You will be able to take it anytime, anywhere on your computer or mobile device! *Though written for parents and teachers, this little handbook applies to us all. We were all children once. Organize a SAY WHAT YOU SEE® Handbook Study or a Meet-up Group in your area, and we will post it for you here. Local groups are a great way to create your own supportive community of parents and teachers learning to use this simple approach. See Your Location and Link Here! Contact Us to see your own Book Study or Meet-up Group meetings posted here! Language of Listening® instructors are available on request for Speaking Engagements, Private Classes, and Staff Training for your group or organization. We provide presentations for parent groups, childcare professionals, teachers, social workers, and small businesses who can benefit from improved communication. Please Contact Us to schedule our engaging instructors for your next event or click for more information on Speaking Engagements or In-service Staff Training. Language of Listening® classes and coaching are not intended or implied to be a substitute for professional medical advice, psychological advice, diagnosis, guidance or treatment. All Language of Listening® services, products and website content are provided for general information purposes only. If you and/or your child are depressed, ill, or have any concerns whatsoever, please seek the assistance of a qualified medical and/or mental health professional. 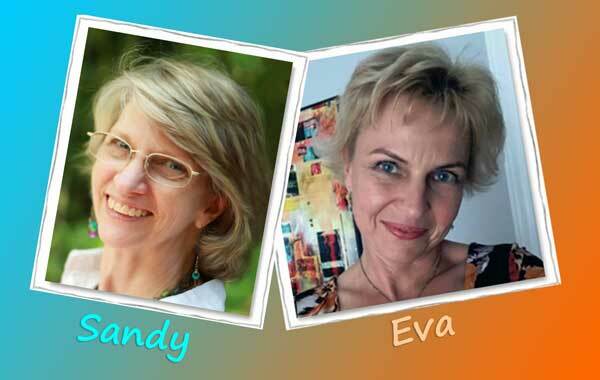 Boundaries, Family Rules, & Strong-Willed Children… Oh My! Everything children do and say is a communication. Children must continue to communicate until they are heard. All children have every possible inner strength. Children act according to who they believe they are. All behaviors are driven by 3 healthy needs: experience, connection, power. Whatever children are doing is already meeting these needs. All growth is through acceptance. Children set exactly the right level of challenge for growth. We are not medical or mental health professionals. This website and the content provided herein are meant to be thought provoking and are not intended or implied to be a substitute for advice, diagnosis, guidance, or treatment by a medical or mental health professional. No liability is assumed for losses or damages due to the content provided. You are responsible for your own choices, action, and results. You should consult a certified medical or mental health professional for your specific questions and needs.